and for all must becareful. 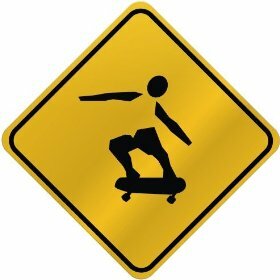 my sign tells about in this area only skateboard can cross the area. there is no car, no bike, no bicycle and the other just skateboard.